Side dishes add variety to any holiday meal, whether they’re the traditional kind or the more adventurous kind. Here are three fun side dish recipes to try: Mashed Potatoes, Green Beans with Shallots, and Basic Wild Rice. Peel the potatoes, cut them into quarters, and place them in a medium saucepan with enough cold water to barely cover them. Add the salt. Cover the saucepan and bring the potatoes to a boil over high heat. Reduce the heat to medium and cook, covered, for about 15 minutes, or until you can easily pierce the potatoes with a fork. Drain the potatoes and then return them to the saucepan. Shake the potatoes in the pan over low heat for 10 to 15 seconds to evaporate the excess moisture. Remove the pan from the heat. Mash the potatoes a few times with a potato masher, ricer, or fork. 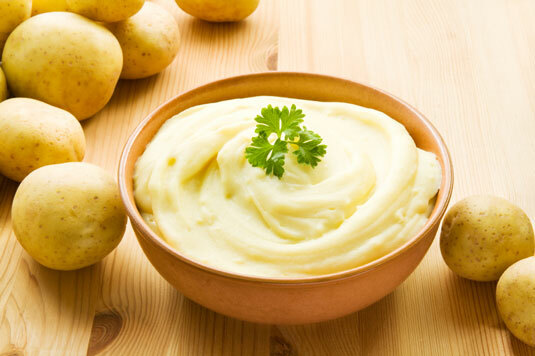 Add the butter, milk, and salt and pepper to taste and mash again until the potatoes are smooth and creamy. Place the beans in a large pot. Add cold salted water to cover the beans. Cover the pot and bring the beans to a boil over medium-high heat; cook them until they’re just tender but still firm, about 10 to 15 minutes. (Actual cooking time depends on the tenderness and size of the beans.) Check for doneness after about 8 minutes. As the beans cook, melt the butter in a large skillet over medium heat. Add the shallots and cover the skillet. Cook for 3 to 4 minutes, stirring often, until the shallots are golden. Drain the beans well and add them to the skillet with the shallots. Stir to combine and heat them briefly just before serving. If desired, stir in the lemon juice. Season to taste with salt and pepper. Wash the wild rice thoroughly before you cook it. Place the rice in a pot filled with cold water and let it stand for a few minutes. Pour off the water and any debris that floats to the surface. Drain well. Bring the 2-1/2 cups water to a boil in a medium covered saucepan over high heat. Add the rinsed rice, butter, and salt and pepper to taste. Stir once. Reduce the heat to low and simmer, covered, for 45 to 55 minutes, or until the rice is tender. Fluff the rice and add more salt and pepper, if desired, before serving.